‘Day and date’ continues to dominate in the world of films, with Apple announcing that it has agreements to provide movies on its iTunes store at the same time as they arrive on DVD. Warner Bros has already outlined its theory on releasing movies for VOD and online stores on the same ‘day and date’ as the DVD is released, and they are among the many studios that have agreed to do that on iTunes. The current process works with films moved onto DVD four or five months after a theatrical release, and after another window that sees the movie becomes available for VOD services on cable and satellite. 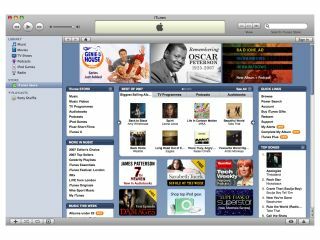 iTunes is already the majority choice for legal online music purchases, but it has yet to corner the market for movie downloads – something it is looking to remedy. This latest announcement is certainly a move in the right direction, although the films will be DRMed to ensure that they are not illegally transferred to other people – something that remains contentious.